In most states, everyone under the age of 18 is legally considered a minor, under the care of a parent or a guardian who has the legal duty of sheltering and providing for their charge. In some situations, however, this arrangement becomes impossible for either the parent, or the child, or both. 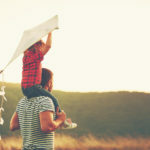 In such cases, the child can either be passed into the legal guardianship of another, or, if he or she is old enough according to their state’s requirements, may go through the process of emancipating themselves. Emancipation, or the process by which a minor legally assumes their own care, does not exempt them from other legal requirements, such as attending school until they’re sixteen, and though it is a straightforward process, it’s not necessarily an easy one. Also note: children wishing to get married under the age of 18 are naturally emancipated when they marry. In order to even file, the minor must meet the minimum age of emancipation for their state. Typically the minor must be at least 14, such as is the case in California. They also must be able to prove they are actually residents of the state in which they wish to file. If they can gather sufficient evidence to prove these, they may then file, but must immediately serve their parents a notice of the petition for emancipation. When in the court proceeding, the minor must prove to the court that they are sound of mind and body, and mature enough to handle caring for themselves. That is, they must show that they are sufficiently mature and capable of handling finding their own shelter, food, paying their own medical expenses, and being responsible for any legally binding contracts they would sign. This means before you get into the courtroom, you’d better have already made most of the arrangements for these needs so that you can easily show the judge you can handle being on your own. Note that government assistance such as food stamps will be excluded from the judge’s assessment of whether or not you can provide for yourself, so you’ll need to show you can get along fine without them. Additionally, if you don’t have a GED, it would probably help your case to show you are committed to either finishing high school or obtaining one. In the end, however, the whole procedure will ride on one simple concept: is emancipation in the best interests of the minor in question? Even if all of the other points are adequately covered, if the minor is unable to demonstrate that breaking the current arrangement will best serve their interests, they still may be refused emancipation. 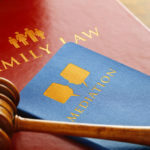 It’s simply not possible or ideal for everyone, but if you think emancipation is your best option, you should speak with an experienced social worker or family law attorney. They will be able to steer you through the process and may even be able to estimate whether or not the process will be successful for you.